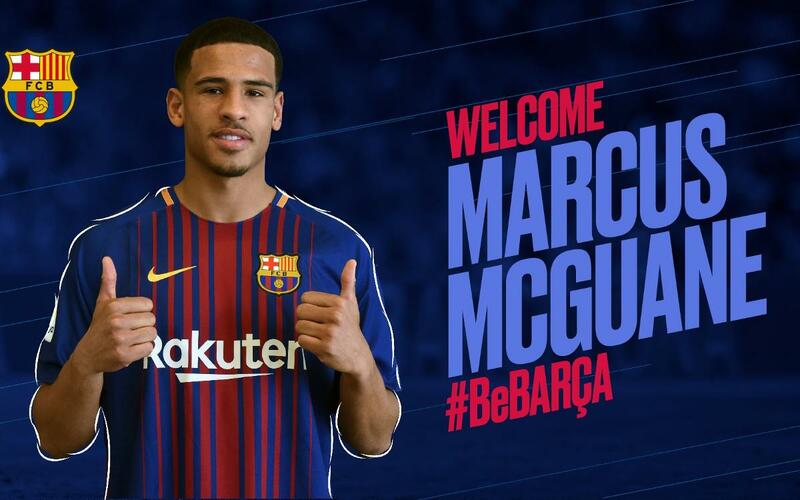 FC Barcelona and Arsenal have come to an agreement by which the midfielder Marcus McGuane will be transferred to Barça B. McGuane’s deal will keep him at Barça for three seasons, plus two option years. The buyout clause has been set at €25m. McGuane passed his physical with the FC Barcelona medical services team and formalized the deal on Tuesday afternoon at the Club’s offices at the Ciutat Esportiva. On hand for the signing were the Football Manager, Pep Segura, and the Technical Secretary for Professional Academy Football, Jose Mari Bakero. The 18-year-old McGuane was born and raised in London and came up through Arsenal’s youth categories before making his first team debut under long-time manager, Arsene Wenger. This season, McGuane made nine appearances with Arsenal’s Under-23 team in the Premier League 2, where he scored two goals. McGuane also made two first team appearances in the UEFA Europa League.